Want to see the effective sales technique that is currently being used by a national cable TV and Broadband provider and that you could easily adapt and copy? This is being used by a company that I used to work for and that I still admire as a forward thinking sales organisation. When I looked into the subtle detail of their latest sales and marketing campaign I just had to share it with you. 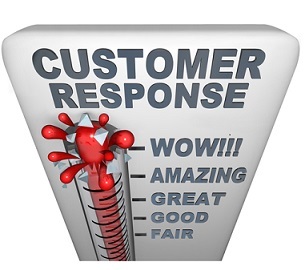 The technique works by getting a great customer response pre-sale. A pre-sale ready-made hot prospects list. A way to create desire for your products and services. A competitive reaction that makes people want your attention. Your products perceived as having additional value by your prospects because you use the sales scarcity technique. Let me give you a brief outline of the main theme of the effective sales technique. Then you can decide to read more and get some ideas on how to adapt it for your sales role. The cable company have launched a campaign aimed at geographical areas that have not yet been cabled so they can't yet receive the TV and Broadband services. The campaign says that they will cable some of the areas but not all of them. The decision on which areas they will spend money on laying the cable will be made by seeing how many people in each area respond to the adverts saying that they want the services. On the face of it you may think, yeah it's a good idea. Wait until you analyse it a bit deeper, there are subtle sparks of brilliance. And all you have to do is adapt the effective sales technique for your sales role or small business and you could have a whole new sales and marketing campaign, or a new approach to selling on your area or territory. The Sales Buzz is published by the website www.provensalestraining.com. If you like the Sales Buzz so will your friends, team members, and colleagues. We've prepared an invitation for you to send to anyone you think will want to see the Sales Buzz weekly ezine, and the 2 free eBooks: Need to Close Chains, and Motivators & Connectors. Thank you for subscribing to The Sales Buzz, the Free Sales Training Newsletter for all sales people, small businesses owners, and sales managers. Please feel free to copy and use the information that you find here. All I ask is that you include a credit to the newsletter or the website, and a link back to www.Sales-Training-Sales-Tips.com.